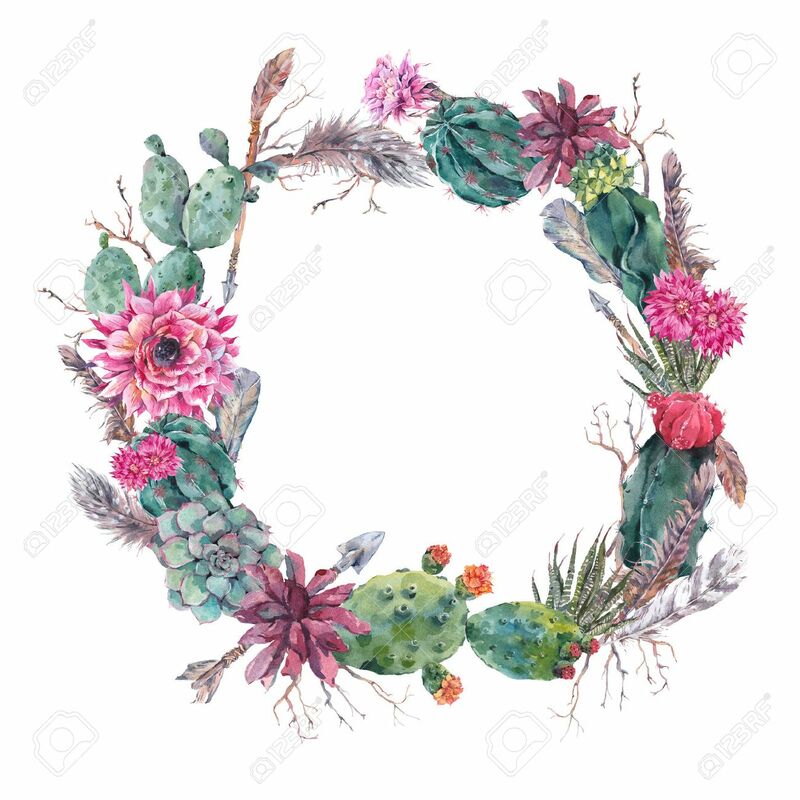 Watercolor Exotic Flower Summer Greeting Card, Vintage Wreath Of Flowers Bouquet With Cactus, Succulent, Flowers, Twigs, Feathers And Arrows. Floral Botanical Decoration In Boho Style Royalty Free Fotografie A Reklamní Fotografie. Image 60771860.